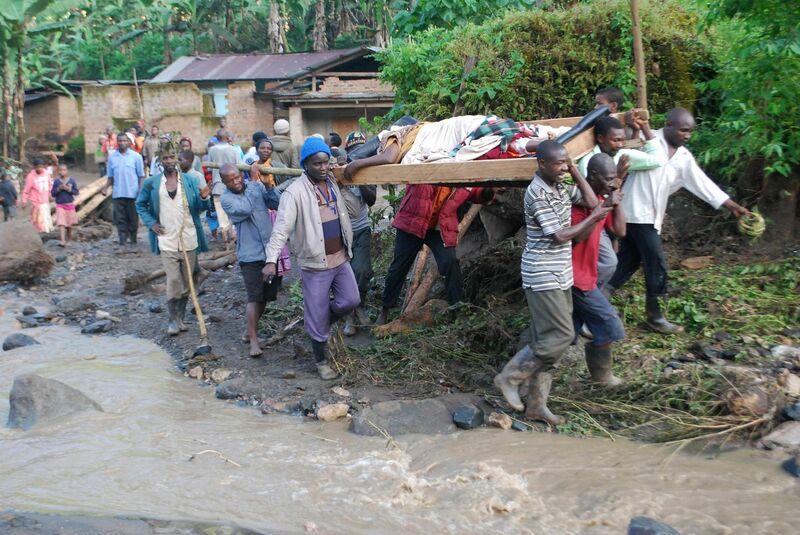 Over 40 bodies have been recovered so far after mudslides swept four sub counties in Bududa district according to local authorities. The sub counties include Bukalasi, Buwali, Nalwanga, and Bubiida. Bududa LCV chairperson Wilson Watira fears that the number of the dead will increase as rescue and recovery efforts are intensified. According to Martin Owor, the commissioner for disaster management in the Office of the Prime Minister, river Suume burst its banks in Bududa at about 2.30pm following a heavy rainfall and a landslide up the mountain. It rolled big boulders through a village in Bukalasi sub county killing several people. 25 bodies including 4 children were recovered by last evening. About 400 people from the villages of Suume, Nyekhe, Malila, Lwanda, Nanyinza are believed to be missing Over 200 pupils of Shiteteyi primary school are also missing after the mudslides swept part of their school located at Maludu trading centre. According to James Kiumi, a resident of Suume village, the heavy rains that started at 11a.m. lasted for four hours. The landslide hit the place at 2:30p.m. Jonathan Musene, the LCI chairperson of Suume village says the mudslides have displaced more than 1,500 people. He also says all the roads have been cut off and bridges swept away by mudslides. According to Owor, the OPM disaster team led by Brig Steven Oluka has been dispatched to join the district disaster rescue and recovery team. Relief supplies including blankets, tents, tarpaulins, jerrycan's, source-pans and food for the survivors have been dispatched. Survivors talk of hearing the rumbling sound and tremors of flying rocks that swept everything that was in their path.